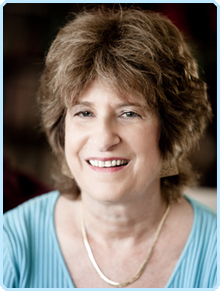 Linda B. Sherby, Ph.D is a psychologist and psychoanalyst. Born in New York City, she lived much of her life in the Midwest, before moving to Florida. Dr. Sherby has been in private practice as a psychologist and psychoanalyst in Ann Arbor, Michigan and then Boca Raton, Florida for over thirty years. As part of her professional career, she co-authored the book, Getting Free: Women and Psychotherapy and is the author and presenter of numerous professional papers. In 2013 her book, Love and Loss, in Life and in Treatment, will make its debut. The book is unique in that it is written by someone who is both a psychoanalyst and a widow, someone who knows with every fiber of her being that love and loss are a ubiquitous part of life, bringing the greatest joys and the greatest heartaches. The book intertwines memoir with her work with patients, demonstrating how a therapist’s current life circumstance affects her patients and her work. If you have ever wondered what a therapist really thinks or if she truly cares about her patients, you will want to read, Love and Loss. Similarly, if you have tried to imagine the unimaginable, the loss of the person most dear to you or wondered if it is true that “’tis better to have loved and lost, than never to have loved at all,” you will find Love and Loss a must read. Loss is an inevitable part of life. In one way or another all relationships end. People leave, move on, die. Love and Loss illustrates that in order to grow and thrive, we must learn to mourn, to move beyond the person we have lost while taking that person with us in our minds. Love, unlike loss, is not inevitable, but no satisfying life can be lived without deep, meaningful relationships. Love and Loss will be a gripping read for professionals and non-professional alike.